At Heartwood Holistic Health, we take great pride in providing the finest integrated approach to holistic health care. 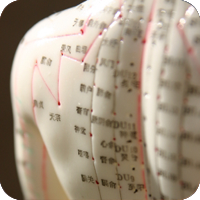 Our services are built on 3 foundations including holistic chiropractic care, Chinese Medicine and myofascial Rolfing. We have included information below about the different services offered in our Chapel Hill chiropractic office, but please call us at (919)929-5610 if you have any questions! As a chiropractor who cares about utilizing the most advanced chiropractic techniques, Drew Kluger offers the finest spinal corrective care in a warm environment. Our safe, therapeutic services include modern chiropractic care, motion assisted neuromuscular re-education and Activator therapy. Through a technique known as muscle strength testing or Applied Kinesiology, Dr. Drew is able to locate areas of particular importance by determining an areas of weakness. Once, discovered these areas can be evaluated further and treated accordingly. The practice of moxibustion and cupping is used in our practice. Moxibustion is the stimulation of certain acupuncture points on the human body for the purpose of controlling and regulating the flow and balance of energy in the body. This practice includes the techniques of placing mugwort on particular points on the skin to stimulation and open channels of Qi/Chi. Cupping therapy is provided to patients with pain and blood stagnation due to inflammation. Inflammation is caused by injury, diet or autoimmune disorders. These conditions cause the blood to collect in a problem areas to help heal the body, but if the blood is not circulated from these areas then those problems become a chronic issue for many people. Rolfing often gets confused with deep tissue massage. Some people describe it has Yoga being done for you. It is especially helpful for athletes and dancers but can help everyone experiencing the physical and mental challenges of living in the contemporary world. Rolfing is a system of soft tissue manipulation and movement education that organizes the whole body in gravity. Rolfing bodywork affects the body's posture and structure by manipulating the myofascial system (connective tissue). Combining Rolfing and chiropractic can be mutually beneficial. Chiropractic moves bones back to their proper place to restore joint function. Rolfing improves alignment by manipulating the tissues that hold bones — and everything else — in place. The footbath was developed to restore the body's energy while facilitating and aiding in its natural detoxification process. This device balances and restores the body's Ph and electromagnetic energy while detoxing the body of heavy metals and toxins. Most people will feel relaxed, balanced, and focused. There is usually no pain. People who suffer from excessive toxicity may experience some discomfort as their bodies release toxins from the tissues for elimination. After a detox foot bath, clients are encouraged to drink plenty of water to assist with making elimination easier and more confortable. Some people may experience fatigue or headache after a session. Cold laser therapy also known as "soft laser therapy" is a medical treatment form, which uses low level lasers to stimulate the damaged tissues, thereby enhancing the progress of healing and providing relief from pain and inflammation. The cold laser treatment has a very good potential to ease chronic pain and inflammation due to its capability to penetrate the skin and treat soft tissue injuries. The relief and healing provided by the cold laser is due to the several mechanisms, which the therapy induces. There is increased production of the serotonin in the brain and the stimulation of the neuro-endocrine system, which promotes the sense of overall well-being. In addition, the progress of tissue repair is enhanced and pain is alleviated. When the targeted body part is exposed to the cold laser, the cells are exposed to photon energy, which increases metabolism of the cells and promotes collagen growth and muscle cells. The blood circulation improves and thus the wounds heal faster. 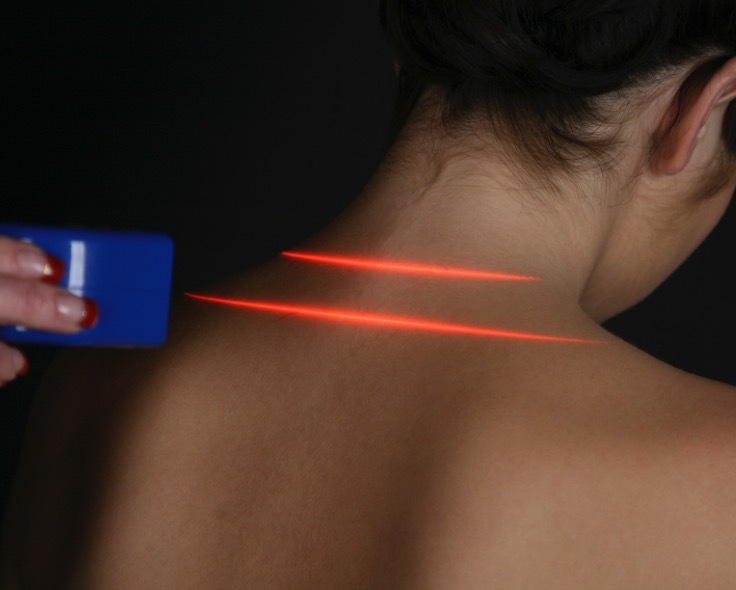 The cold laser treatment is highly beneficial for those, who suffer from acute or chronic pain. We work with our patients by providing examples of corrective exercises to strengthen muscles to help spinal misalignment. These exercises which you can do at home at your own pace can further aid the healing process and improve spinal correction treatments offered by our experienced chiropractic doctor. Dr. Drew can help identify ways to avoid further aggravating your back, neck, shoulder, knees, hip or spine. Whether you are very active or just a weekend warrior, have trouble walking up steps or taking the dog for a walk, we want to design a plan to help you achieve your goals of returning to a pain-free life. We often find that our patients can reach their long-term health goals through a combination of advice on how to make better nutritional choices along with encouragement and support from staff members. We offer positive, non-judgemental and compassionate counseling on how to eat better as well as providing the most up- to- date advice on supplements and vitamins that will optimize your healthy lifestyle plan. Important information to improving spinal health can be revealed through careful posture and spinal screenings. Dr. Drew can help evaluate current issues or issue that are likely to arise in the future through screening. We are available for spinal and posture screenings at community events, healthfairs and local businesses. Give us a call to schedule a screening at your workplace or next event. 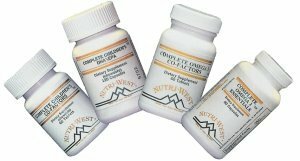 Contact Us to learn more about what Nutri-West Supplement can do for you!